Lake Baikal, like Lake Tanganyika, was formed as an ancient rift valley and has the typical long crescent shape. As a UNESCO World Heritage Site, it is home to many species of animals, plants and Buryat tribes. Among all lakes, it is the clearest, the deepest and the world’s oldest lake, formed 25 million years ago. Lake Baikal is also famous for the one of a kind ice marathon that takes place on its frozen surface. Competitors come from over 50 different countries and race across the frozen lake. This sport is recognized as one of the world’s hardest endurance challenges. 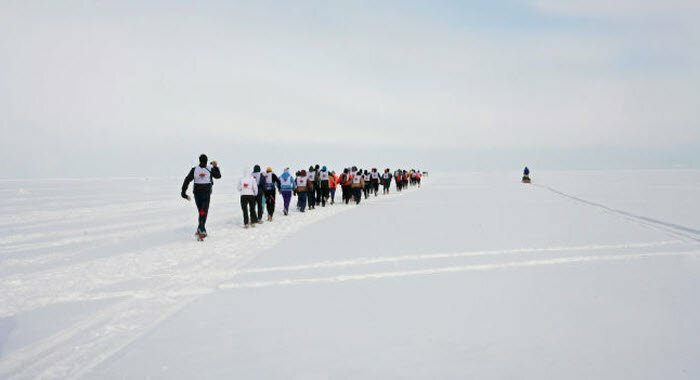 The ice marathon gives daring local and international runners the huge opportunity to race across a 26.1 mi/42 km course on the snow-covered ice of Lake Baikal. The beautiful lake offers amazing landscapes surrounding the basin, including picturesque mountains, taiga woods and boreal forests. The marathon is predominantly flat and covered in a light layer of snow. If you are a visitor to Siberia, you may have trouble getting used to the northern winds that are harsh and unpredictable. The climate of Siberia is the biggest challenge of this race, as past races proved that conditions vary in severity, from a sunny sky with no chill factor to a biting cold and high winds. 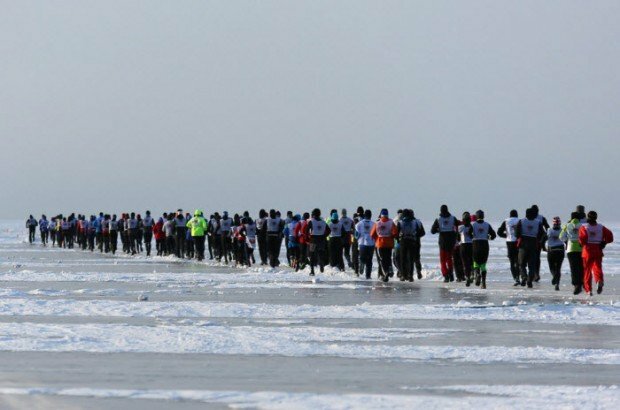 The world’s most adventurous runners will face the uneven surface of the lake that resembles the conditions of an ice skating rink, crafting a totally unique racetrack. Prior to the marathon, get ready for a big preparation and safety precautions, as this can be a very dangerous activity. On the day of the race, you will be transferred to the beginning spot and after the ritual of vodka sprinkling, you can start your adventure. It is your chance to pacify the spirits of the Great Baikal, keeping the Russian tradition and then take part in the coolest marathon ever.